A quadricycle is a four-wheel land vehicle propelled by pedals. 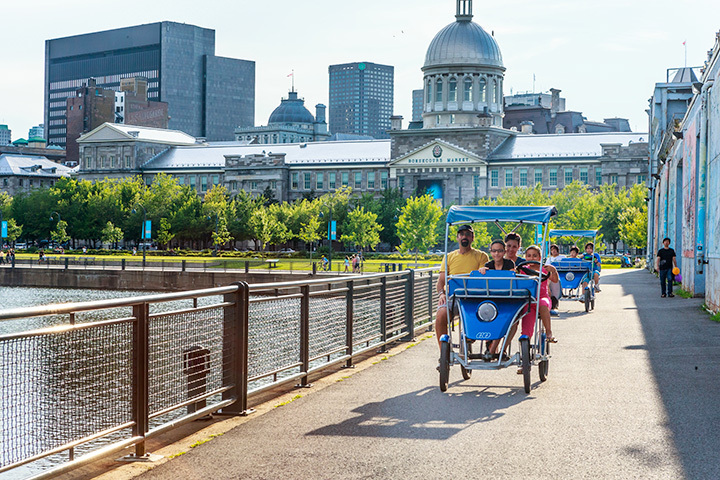 Experience a unique experience in Quebec by traveling along the Quays and the roads in our quadricycles equipped with a hand steering and a multi-leg propulsion. 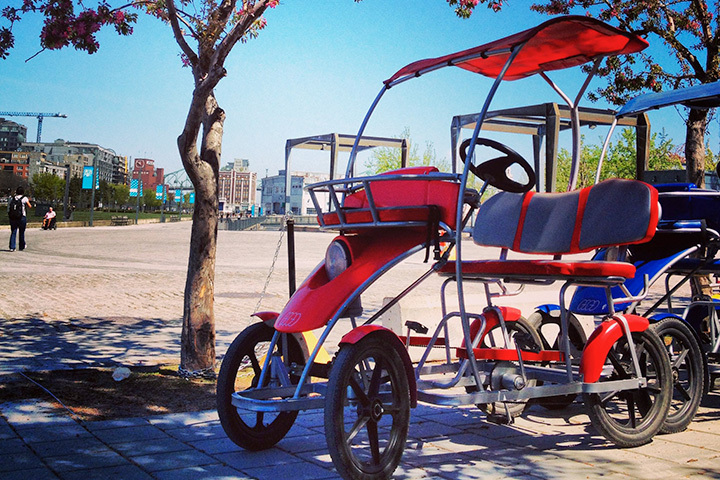 At Ecorécréo, we produce our own quadricycle in Quebec in partnership with Quadricycle International. 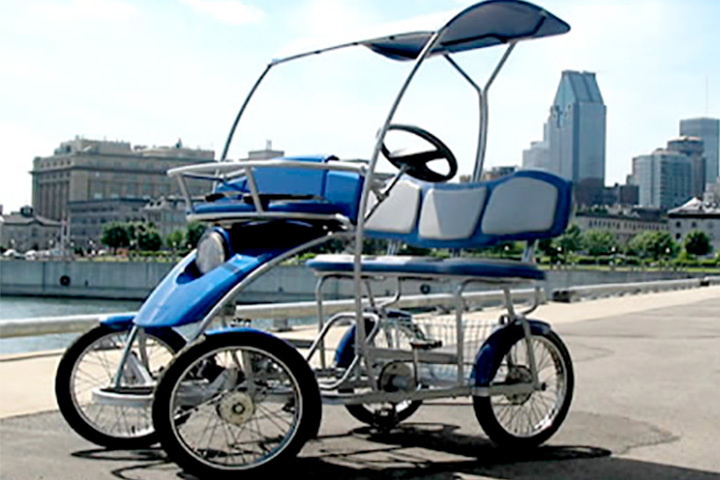 Quadricycle International is a Quebec company specialized in quadricycle manufacturing since 1985. Quadricycles are available from $ 18. For more details, please visit the rental center where you would like to rent the equipment. Rights to move: In the delimited area.